We had the pleasure of chatting with Lauren Wolanski, one of the artists in Nightwood Theatre’s 2017/18 Young Innovator’s Unit about their upcoming event, Fempocalypse 2018. We spoke about the importance of welcoming mentorship that challenges you, partnering with Sistering for their event, and the importance of “finding your people” and advocating for the value of your work. Bailey Green: What was your first memory of Nightwood Theatre? do you remember a show you saw produced by Nightwood that stood out for you? Lauren Wolanski: I was in university working on a project for my professional practice class. We were asked to get in contact with a theatre company that we admired and interview them (classic theatre school assignment, right?) Truthfully, I saw it as the perfect excuse to get in touch with women who I was, and still am, huge fans of. I was nervous as hell. But from the get-go the team at Nightwood proved to be incredibly approachable and generous with their time. Beth Brown spoke with me on the phone and answered all of my questions about the inner workings of the company, from their season selection to their emerging artist and community outreach. Kelly Thorton also came to visit my class to do a workshop. I had the chance to work with her on a monologue I had prepared and I’ll never forget it—she was candid, honest, brazen and persistent. She was able to really challenge me while at the same time convince me that I was capable of more, which is something that’s rare to find in a mentor. Asking for It, written by Ellie Moon and presented as a part of the Consent Event at Nightwood this past fall, completely blew my mind. Here was a young woman, no more than a few years older than me, doing a show that really spoke to what we needed to hear NOW. It covered all the things I’ve wanted to talk about, but never had the guts to. It was relevant and daring and deeply personal. It changed my perception about the possibilities for women on stage, and reminded me that audiences do in fact want to listen to our experiences as young women—that our perspectives are valuable and not to be overlooked. BG: Tell me about your experience in the Nightwood Theatre’s Young Innovators Unit, what’s the process been like? How often have you met throughout the year and how is your time together spent? LW: The Nightwood Young Innovators Unit is a group of young emerging artists, ranging from producers to stage-managers and playwrights to actors, that are being trained by the team at Nightwood to be ambassadors for Canada’s National Women’s Theatre. After our first meet up, the staff at Nightwood asked each of us what our interests were so that they could notify us when any related opportunities arose. In this sense, it is a completely individualized program that lends itself to the particular skills you wish to nurture. So, that could mean that you get asked to help Kelly Read with applicants in the audition room for the Lawyer Show, or that you spend the day assisting in the Groundswell Festival, when the Write From The Hip artists share their work in front of an audience for the first time. The variety of opportunities they offer to us is so vast. And what’s best is that they’re always just an email away if we ever want to touch base and go for coffee. 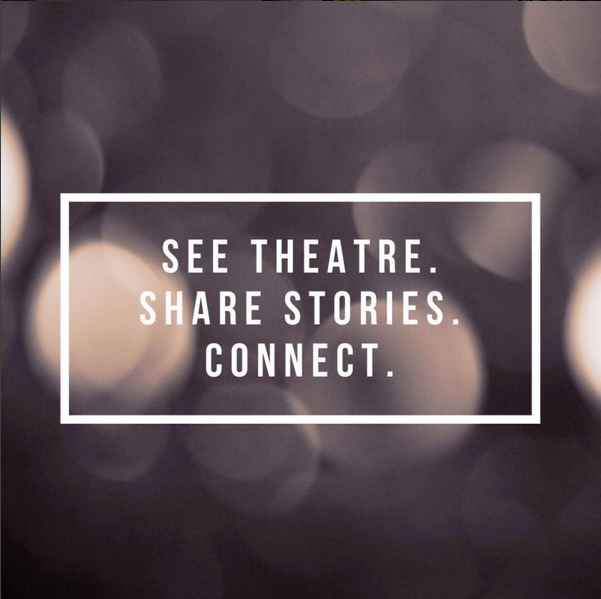 We meet about once a month for workshops with different team members from the company to learn about the essential skills to running a theatre company. Some of the workshops focus on development, marketing, grant writing and more. Of course, we are also tasked with planning Fempocalypse, which is the event we are currently in the thick of preparing for. Nightwood has given us a space, tons of guidance in regards to curating and organizing this event—but they’ve pretty much given us the freedom to take the reins on this project. And when we hit little technical bumps, the company helps us get back on track. It’s our special project to navigate on our own, and I love that Nightwood is giving us total liberty to create this thing! I also love that I feel like a valued artist at Nightwood. When I’m in the company’s presence, I never feel like I’m being schooled, per-se, even though I am in a sense. I don’t ever feel the pressure of being one of the youngest, or least experienced one in the room. I always feel accepted and encouraged by the team at Nightwood, and that feeling of true support is not always something you’re lucky enough to find in this industry. BG: With part of the Young Innovator’s Unit focused on learning how to run a theatre company, what was one the most valuable insights or pieces of advice you received during your time in the unit? LW: Kelly said something along the lines of, ‘yes, this is about making art but this is also a business’. We women have to be able to make a living off of the work we do. And I think that’s incredibly important to keep in mind. In order to do good work, we have to have the means to do it in the first place. So as much as we young dreamers like to believe that networking, marketing and funding aren’t as important as the art, and that passion alone is enough to fuel our careers, that’s not necessarily so. Another piece of advice we got that I found of particular use was to find your people. Theatre is so much of a collaborative process, and it’s important to find the people who share a passion for telling the stories that you want to tell. LW: It was really important to us that this be an uplifting night of celebration. It seemed appropriate then, that we choose a quote that would elicit a similar response. As much as we’re all frustrated, saddened, and frankly just pissed about the work that still needs to be done, we’re optimistic that bringing artists together to share words of hope will put the Toronto community on the right path this year. We want to celebrate how far we’ve come, and the amazing group of people we have brought together that will help lead the way into a better future. ARTISTS, lead the way! BG: You have some incredible folks performing at the cabaret, could you give me a sneak preview of any of the acts? LW: Yes yes yes! We’re SUPER excited to have such an amazing line up of female-identifying or gender non-binary artists this year. Up-and-coming Somali-Canadian writer Fatuma Adar will be sharing a musical piece that she wrote (Music by Fatuma and Alexa Belgrave) which we are SO looking forward to seeing. We’re also going to be screening Julianna Notten’s film Erin’s Guide to Kissing Girls. We also have Brefny Caribou, a Cree-Irish Canadian actor, creator, and writer, who will be performing a piece. Honestly, I want to list all of the artists we have because they’re all so darn amazing and talented and inspiring… but you’ll just have to wait! I can promise you however, that it will be a night full of diverse artists from all kinds of artistic disciplines—and that we are incredibly excited to be hosting all of them! BG: The cabaret will raise money for Sistering, a local Toronto agency for at risk homeless or precariously housed women, can you tell me more about the work they do? LW: As Canada’s only 24/7 women’s shelter, located right here in Toronto, Sistering has a lot of important work to do for the women in our community. Not only does Sistering warmly welcome any woman at any hour of the day with a meal, a place to sleep and clean clothing—Sistering focuses on providing women with the support they need to find jobs and suitable housing in Toronto. A doctor, mental health professional and counselor are available on a regular basis, and staff are at the ready to help any woman with resume and job application assistance. Sistering goes as far to offer women work experience on location in the kitchen and other in-house facilities. A few of us Young Innovators, Bryn Kennedy, Justine Christensen and Samantha Vu, had the chance to visit Sistering to speak with some of the hardworking staff, including Fund Development Associate Marian Lupu, to tell us more about the far-reaching initiatives and programs that Sistering takes on. First, we were taken to the Inspiration Studio: A space for the women to hone their artistic skills, whether it be beading or pottery, in regular workshops with artistic professionals. We had the chance to see some of the impressive, beautiful work that the women are making at Sistering on a daily basis, which then go on sale for purchase. Beyond the work that they are doing on-site, spending countless hours making approximately 10,4000 harm reduction kits per year and providing an array of recreational social gatherings, Sistering is also fighting for the rights of these women within the broader Toronto landscape. Sistering staff publically advocate for more harm reduction shelters, programing and greater funding for the opioid crisis in our local government and social action rallies. We’re really excited to be hosting a Sistering staff member at the event so that our guests can experience learning more about Sistering first-hand. If people can’t make it to the event and would still like to get involved, we’re encouraging everyone to check out their volunteer opportunities here. If you’d like to honour a woman in your life while contributing to this incredible cause, you can also check out this page. BG: What or who are you currently drawing inspiration from? LW: SO MUCH. There is no denying that there has been a major shift this past year. A lot has happened that has made us stop, re-evaluate, and reconfigure the direction we’re heading in. People across the globe are no longer willing to stay silent. We get our inspiration from the galaxy of voices that ignite change. That includes the incredible artists we have invited to this event, and the powerful staff at Sistering who work endlessly to better the lives of our women. It is the presence and impact of these fierce, determined and unabashed people—their words, their songs, their art, their hearts and their actions—that have made this event such a pleasure and ease to produce. We hope to see everyone there to celebrate how far we’ve come. What: LET’S CELEBRATE. BECAUSE THERE’S A WHOLE LOT TO CELEBRATE. International Women’s Day. Let’s hear it for our sisters, right? A cabaret night that is jam-packed with performances from an array of female-identifying or gender non-conforming artists, covering a range of different viewpoints and experiences that respond to the following prompt: “Courage can be contagious and hope can take on a life of its own” – Michelle Obama. After an incredibly successful event last year, with over one thousand dollars in proceeds being raised for Native Women’s Association of Canada, Fempocalypse will return this year under the leadership of the this year’s Young Innovators. FEATURING WORK FROM: Monica Garrido, Parmida Vand, Ansley Simpson, Mayumi Lashbrook and Lisa Emmons, Form Contemporary Dance Theatre, Belinda Corpuz, Brefny Caribou, Emma Houlahan, Athena Kaitlin Trinh, Fatuma Adar, yes the poet, Julianna Notten, Claren Grosz, Allison Price and Becky Johnson, and Gay Jesus. Where: Ernest Balmer Studio in the Distillery District. Tickets: Pay-What-You-Can donation in support of SISTERING: a local, multi-service agency for at-risk, socially isolated women in Toronto who are homeless or precariously housed. A representative from the organization will be present at the event to tell you more about the amazing work that they do and how we can get involved. All proceeds from the night will be given to this fantastic organization that is changing the game for women across Toronto.